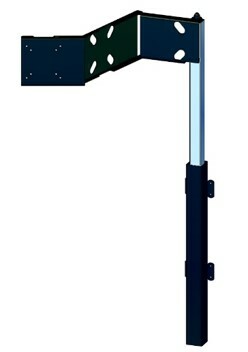 This is a full motion wall mount for 10''to 32'' LCD/PDP TVs, up to 15kg. It allows maximum flexibility, tilt, swivel, providing easy viewing from any seat. This bracket has a detachable mounting block for easy installation. 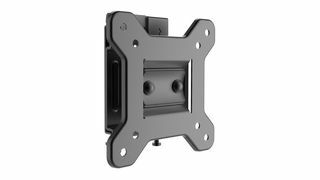 This is a fixed wall mount for 10''- 32'' LED/LCD/PDP TVs up to 25Kg, only 14MM from the wall for a clean, low profile appearance. 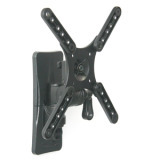 This is a full motion wall mount for 10''-32'' LCD/PDP TVs, up to 15kg. It allows maximum flexibility-extend, tilt, swivel,providing easy viewing from any seat. 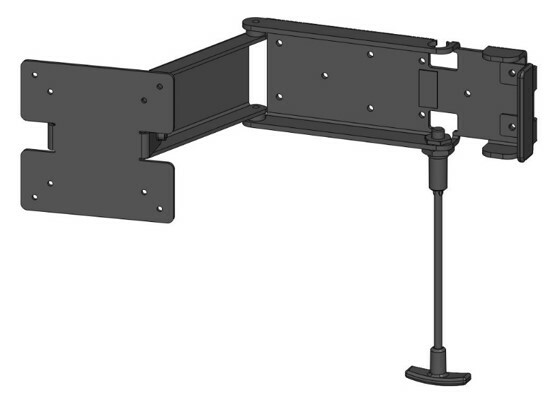 This is a spring loaded lockable double arm cantilever bracket for 15" to 32" TVs. 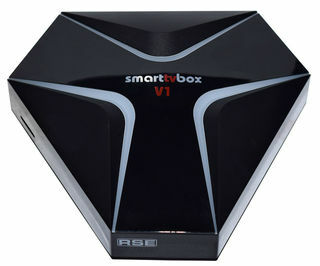 It allows the TV to be swung around to the left or right for viewing. 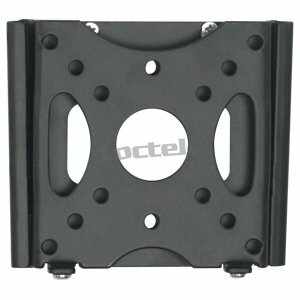 This is a spring loaded lockable double arm cantilever bracket for 15" to 24" TVs. 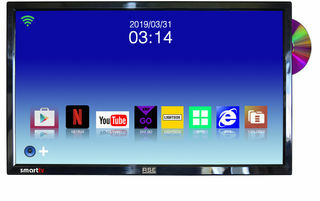 It allows the TV to be swung around to the left or right for viewing. Our gas strut is simple, with stylish modelling, compact and rugged. 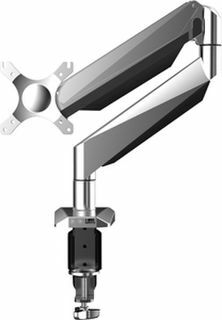 Each arm is 300mm long with 3 pivot points allowing the bracket to be positioned in almost any direction, angle and height. The overall throw of the bracket is 550mm.